We provide two options. 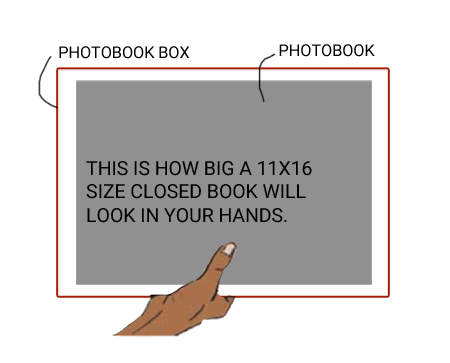 You can order as many Photo-books as you require. 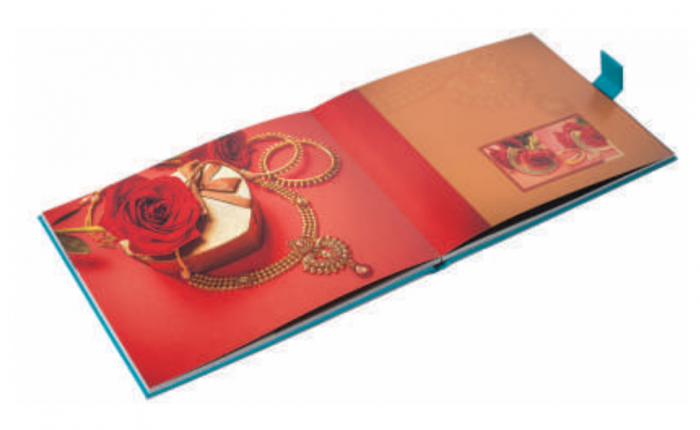 Both the above options are from Canvera – one of the leading photo-book publishers in India. They are of premium quality and 11X16 inch in size, with lay-flat binding. The cover is of a textured material, over which embossed text can be printed (like “A weds B”). This is how the textured cover looks like – we go with the red colour. This is how a lay-flat binding looks like when the Book is open. We do a very clean, non-flashy layout – like this. Please do make sure that you like our style, before your place order for a Photo-book. Once you have shared with us the file names of the photographs shortlisted for printing, (and made payment for the Book), we will do the layout and once the layout is finalized, we will get the Book printed by Canvera – they will directly ship it (free of cost) to any Indian address that you provide (in about a week’s time).